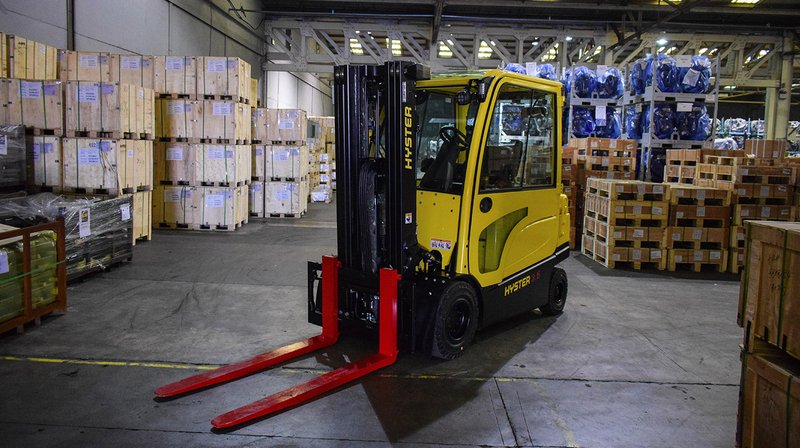 New low cabin forklift trucks have been developed by Hyster Europe for use in restricted height applications such as container stuffing. The new Hyster® trucks produce zero emissions while giving the power and performance needed for moving 2.2 to 3.5 tonnes. Designed for use in the back of a lorry or in a container, the Zero Turning Radius axle allows for superior maneuvering to ensure maximum driver efficiency in these narrow and tight spaces. 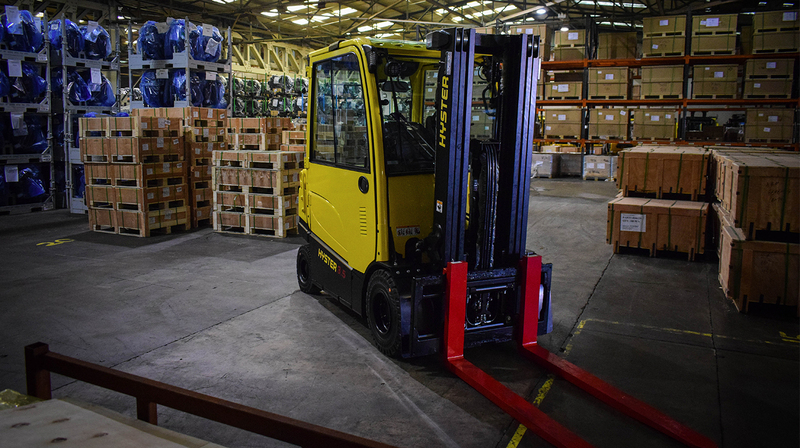 The low cab height option is available on the side battery extraction versions of the J2.2 – 3.5XN four-wheel electric forklift series, giving an overall cabin height of 2,213 mm, compared to 2,297 mm for the standard cabin. This truck is the ideal addition to an inland terminal fleet to help destuff containers quickly, and can work through wet and sub-zero weather conditions. Drivers can stay warm for an entire shift thanks to the heater option. A powerful and tough alternative to combustion engine trucks, this reliable electric forklift provides high performance levels with the low energy consumption. Extended battery life teamed with a quick and simple battery changing process means the Hyster® J2.2 – 3.5XN trucks can operate for longer, all whilst producing zero-emissions inside a confined space. The low cab features curved, reflection-free glass providing good visibility of the load and operating area. Glare is reduced from obstructing the view by use of tinted safety glass, lessening eyestrain and driver discomfort. The use of optional cameras and lighting can further assist the forklift driver to work more quickly and accurately inside containers or lorries. To find out more contact your local Hyster® dealership for or visit www.hyster.eu. This entry was posted in Container Stuffing, Electric, Electrics, Lowered Cabin, Ports and Terminals, Warehousing, zero-emission and tagged Container Stuffing, Electric, Electrics, Lowered Cabin, Ports and Terminals, Warehousing, zero-emission, Zero-emissions solutions. Bookmark the permalink.